THE Australian Nursing Federation is urging the Gillard Government to commit $513 million to close the wages gap between aged care and public hospital nurses across the country. Lee Thomas, the union’s federal secretary, said the ANF was negotiating with aged care providers for a proposed framework agreement designed to commit employers to closing the wages gap and establishing “competitive wages” for aged care nurses. Under the proposal, the union and providers would be able to access the government funding required to close the gap once an employer had struck an enterprise level agreement with their employees. A draft report by the Productivity Commission aged care inquiry said there was a need to pay “competitive wages” to aged care nurses. However, the union has accused the commission of paying “scant regard” to the issue. According to the union, the federal government would need to inject an initial $513 million into the aged care system to close the pay gap, and a further $97 million annually to keep the gap closed. Union analysis of wage agreements in the public hospital sector and aged care sectors shows the average difference nationally has increased from 13 per cent in 2002 to 14.8 per cent this year. In a speech last month, the Minister for Mental Health and Ageing, Mark Butler, noted the “challenge” of providing the aged care sector with a good, adequate supply of properly paid, adequately trained workers. Ms Thomas, who is due to give evidence before the Productivity Commission inquiry when it convenes in Melbourne today, said the union did not walk away from the fact that the amount sought from the government was a “big number”. But she said the wage disparity had led to a staffing crisis in aged care and if the gap was not closed, the sector would continue to struggle to attract employees. The estimated cost of closing the wages gap has been adjusted by 30 per cent to accommodate provisions in workplace agreements and awards, including shift loadings, penalties, sick leave, and annual leave loadings. It has been further adjusted by 20 per cent to take into account salary on costs including payroll tax, workers compensation premiums and superannuation. The estimates assume public hospital wages will increase an average 4 per cent annually while private aged care salaries will rise by 2 per cent a year. March 18, 2011 THE Greens have questioned why the government is pursuing their policy on climate change if it considers the minor party to be extreme. And the Opposition said yesterday that if Julia Gillard really meant what she said about the Greens, she should call another election rather than continue to govern with the support of ”extremists”. ”It’s like walking down the street holding your lover’s hand and yelling out ‘this relationship is a farce’,” said the Nationals’ Senate leader, Barnaby Joyce. The Prime Minister used the Don Dunstan address in Adelaide on Wednesday to position Labor between the Coalition and the Greens which, she said, represented the opposing extremes of the climate change debate. Ms Gillard argued that Labor would protect jobs with transitional assistance for industries affected by a price on carbon. Simultaneously, Labor would create jobs in the clean energy sector by pricing carbon. She said the Coalition was capable only of the former and the Greens, only the latter. The Greens leader, Bob Brown, said Ms Gillard’s barb was an attempt at product differentiation, sparked by sensitivity to criticisms that Labor was too close to the Greens. In reality, the government was embracing Greens policy, he said. “It brings a little smile to one’s face to see product differentiation while carrying through with a long-held Green political philosophy – that is, to have a carbon price en route to modernising Australia’s economy. The government and the Greens plan to strike a deal on a carbon price this year, have Parliament pass the legislation before Christmas and have the scheme begin on July 1 next year. Ms Gillard said if there were no deal on a carbon price this year, there most likely never would be a price on carbon. With the party haemorrhaging voter support over the issue, one minister confided that such a scenario would not be the end of the world. ”It could be a lot worse,” he said. Climate change policy has dogged Labor for three years. After three unsuccessful attempts to pass legislation, it cost Kevin Rudd the prime ministership and nearly cost Labor government. Ms Gillard defended the government promoting the scheme before the detail was worked out. ”Even if the government had gone out and announced every detail of this carbon pricing … Tony Abbott would be running a scare campaign,” she said. MINING might be powering the economy, but its employment needs are tiny. New figures show that in the year in which 302,000 jobs were created the mining industry added 27,300. By contrast the biggest-employing sector, health and social assistance, piled on 91,500 extra workers, retail 49,300 and transport and postal services 34,000. Even as a proportion of workers employed, the growth in mining was eclipsed by real estate, which expanded its workforce 21 per cent or 35,600 workers to mining’s 16 per cent. The figures from the Bureau of Statistics show that as hard as the mining industry is finding it to get skilled workers, its needs are modest. As of last month it employed 1.7 per cent of the workforce, or 205,100 workers. The need is concentrated in three states. All of the growth in mining jobs in the past year took place in Western Australia, Queensland and NSW. The three between them employ 87 per cent of the mining industry, with WA taking the lion’s share. Curiously the mining industry also employs about 100 people in the mining-free Australian Capital Territory, possibly as lobbyists. Health and social services overtook retail as Australia’s biggest employing sector a year ago. With 1.3 million workers to retail’s 1.24 million, and growing at twice the rate, soon it will be incontestably Australia’s biggest employer. In third place is the construction industry with 1.19 million workers, growing at just 1 per cent a year now that stimulus programs are being wound down. Manufacturing, once Australia’s biggest employer, is in fourth place with 995,000. Agriculture, once Australia’s second-biggest employer, is now a minnow with 326,000 employees, having shed a further 40,000 in the past year. Australia’s smallest employer is the electricity, gas and water sector, providing jobs to 153,000 workers. Carbon tax to help cut household taxes? Tony Abbott has been rehearsing for an election campaign in which he is the champion of the stretched household budget and the working man’s job, the guy who promises to repeal a great big new carbon tax. But a campaign where he can’t afford to match a personal income tax cut for most struggling families would be something else altogether. Professor Ross Garnaut’s suggestion that the government link its floundering climate change reform with the Henry review’s proposed personal tax reform, shelved before the last election when things were getting a bit on top of them, could recast everything. That’s why the government is considering it very seriously indeed. Julia Gillard and Greg Combet are working hard to claw back the early advantage Tony Abbott has gained with his blitz of radio interviews and visits to regional centres. Garnaut insisted the Coalition’s Direct Action plan would be more expensive for households and less efficient in reducing emissions, a throw-back to Soviet-era central planning. He said this was in no way partisan because he (the professor) had been advocating free markets back when the Coalition had also believed in them and it was the Coalition that had changed its mind. The intellectual antecedents of his policy have not mattered a jot to the Opposition Leader, who every day raises the spectre of what the tax could cost an industry or a family if there was no compensation at all, even though he knows generous compensation will be coming. But it is difficult for the government to make the case that its scheme is comparatively less scary without details of exactly what it would cost and what the compensation would be. And, given the complexity of the policy and the difficulty of funnelling every decision through the multi-party committee, we are unlikely to see those for some time. The Garnaut report only starts to fill the information vacuum that has allowed the Coalition scare campaign to thrive. It concedes the government is going to have to offer generous industry compensation, at least in the short-term. It lays the groundwork for any petrol price increase to be delayed. It will be influential, but it is not policy. That means a sensible debate comparing the cost of two schemes designed to meet exactly the same emissions reduction goal is still a way off. The political hubris towards the carbon tax is making a mockery of its opportunities. WHO could imagine anything worse than a carbon tax? I think I just did – not having one. That the alternative is indeed worse is shown by electricity prices. One reason they’re climbing is the government’s demand that 20 per cent of power come from renewable sources – solar or wind, for example – by 2020. Sounds harmless enough, except this has postponed investment in cleaner gas-fired power stations for expensive, energy-inefficient windmills all over the countryside. With a carbon price we’d have cleaner emissions sooner because there’d be an incentive to invest. The federal opposition is happy to go along with such inefficiency while adding its own. Also, I’m blowed if I know where it gets the $300 a year rise in electricity bills on a $26 a tonne carbon price. This supposedly comes from a report by the Australian Industry Group, only that’s not what it says. The closest is a footnote saying a typical Sydney household power bill would rise $307 over three years. Somehow that’s morphed into it rising $300 a year. Scare campaign aside, in truth the carbon tax bogeyman is more your wimp. Consider how it might work, struggle though that is seeing as the government doesn’t know itself yet. But here goes. 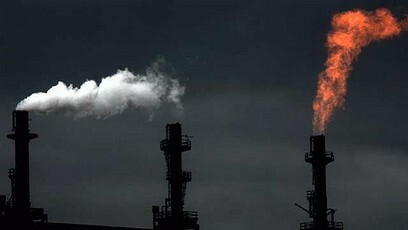 The government will initially set a price on carbon, which is the cost to buy permits to pollute. As it’s the only seller, that’s a tax. Polluters have to buy enough permits at, let’s say $26 a tonne, a price indexed each year, to cover their carbon dioxide emissions. After three to five years, the emissions trading scheme kicks in so the price of carbon fluctuates according to how much pollution is emitted. Strange as it seems, the fact that a carbon price will raise revenue for the government – I suspect a lot – is its saving grace. Not only is there a price for carbon that will encourage investment in less-polluting technologies (and perhaps eventually put a stop to spiralling electricity prices) but it will have a kitty to spend as it pleases. That’s where Opposition Leader Tony Abbott, instead of denying the inevitability of a carbon price, could make himself useful by demanding across-the-board income tax cuts and pension increases to compensate for the price increases. Just think higher power and petrol prices in return for tax cuts. Bet you could live with that and you’d be helping the environment as well. Instead, he’s offering Band-Aid schemes at great cost that will achieve little by not getting to the nub of the problem. As the respected OECD says, no price on carbon ‘‘increases climate-change risks and prevents low-emission technology being developed’’. But wouldn’t we be shooting ourselves in the foot with a new tax that none of our competitors have? Too right. That’s why a rebate for the carbon tax for exporters must be integral to the scheme. And how’s this? The rebate could be paid from a tax on imports that aren’t up to carbon scratch. Anyway, getting in early has its benefits, too. We’d have a far more efficient electricity-generating industry based on modern equipment for one. And, even better, Australian developers of leading-edge renewable-energy technology would have a ready market right on their doorstep. 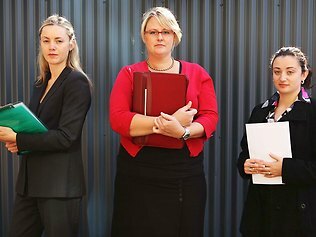 Australia’s unemployment rate has remained at 5.0 per cent in February. AUSTRALIA’S unemployment rate has remained at 5.0 per cent in February, showing that the labour market was reaching full capacity, economists say. The January figure was an unrevised five per cent, the Australian Bureau of Statistics (ABS) said today. Total employment fell by a seasonally adjusted 10,100 to 11.413 million in the month. St George senior economist Kate King said while the headline figure was on the weak side, the underlying data was very strong. “That big 47,000 full time jobs is really the more important number … it’s a terrific number really,” Ms King said. Full-time employment rose by 47,600 to 8.068 million in January and part-time employment was down by 57,700 to 3.344 million. She said the numbers showed the labour market was getting close to full capacity. The ABS report also showed aggregate hours worked by employed people in Australia rose by 1.1 per cent in the month. “That’s the key figure,” Ms King said. The February participation rate was 65.7 per cent, from a downwardly revised 65.8 per cent in January. The forecast was for total employment to have risen by 20,000 in February with unemployment steady at five per cent and for a participation rate of 65.8 per cent, according to the median of 11 economists surveyed by AAP. US-Russia trade has yet to live up to the reset in political ties but US firms believe Russia’s human resources can soon do for high-tech engineering what India did to the IT sector two decades ago. Vice President Joe Biden this week lamented on a visit to Moscow that annual trade between the two countries was equivalent to just a few days of commerce with neighbours Canada and Mexico. But executives at some of North America’s biggest companies are grasping onto a vision of a 24-hour production cycle in which Russian engineers zip their drafts to board room executives in Europe and the United States. The US aerospace and defence behemoth Boeing now has a $27 billion plan in place to purchase Russian parts and R&D services – with much of the focus placed on the latter. “Russia has the opportunity no smaller than India had 25 years ago to help the world develop engineering,” said Boeing Russia President Sergei Kravchenko. “We know this can be done because India did it with IT,” he told a Moscow investment forum in which Biden delivered the closing address. Boeing’s plans nicely complement President Dmitry Medvedev’s ambition of powering Russian growth through research and innovation. The US firm has a place in the suburban Moscow Skolkovo project that forms the hub of Medvedev’s dream of an innovation-based future and speaks highly of Russia’s continued ability to produce fresh talent. Not everyone is ready to place quite such a large bet on a country whose business climate is still frosty and whose customs laws – for now at least – are often subject to political whim. But even companies with roots closer to the minerals and other resources that have provided much of the country’s wealth since the Soviet era said what they really wanted to tap was Russia’s brainpower. “Far beyond oil and gas, the real potential in Russia is human capital,” said Dow Chemical Company’s Russia General Manager Marco Blagovic. Biden spent much of this week’s two-day visit pushing a trade agenda that could finally make Russia into a meaningful business partner for the United States. US statistics paint a grim picture showing trade between the two sides reaching just $31.7 billion last year – less than four percent of Russia’s total. “The value of the goods that cross the United States’ border with Canada and Mexico every few days exceeds the annual value of our trade with Russia,” Biden lamented. Russia’s current engineering advantage is twofold: its massive pool of workers was not only trained by some of the world’s most qualified Soviet-era professors but also costs employers a fraction of their Western counterparts. “Closer cooperation will allow American companies to benefit from greater access to Russia’s deep pool of talent of engineers, mathematicians and computer scientists,” said Biden. But its profound drawbacks include an alien corporate culture whose uncompetitive practices once suited Communist Party bosses but seem incomprehensible to Western partners expecting firm schedules and sharp ideas. “Even the simple things like weekly company reports written in a human language that anyone can understand – that did not exist before,” said TMK steel company Senior Vice President Vladimir Shmatovich. Trade should theoretically swell once Russia joins the World Trade Organisation after 17 years of trying and brings down its barriers to foreign technologies and know-how. Global firms are eagerly awaiting that day because it will allow them to cash in on the enormous construction boom sweeping Russia ahead of the 2014 Winter Olympic Games in Sochi and the 2018 World Cup. “Russia has a huge need to grow infrastructure and modernise. And this creates opportunities for many countries,” Dow’s Blagovic said. Yet executives said the long-term benefits of international companies coming to Russia may far outweigh the immediate gains. The big hope is that Russian companies – experienced in building such high-tech equipment as unconventional pipes and advanced military hardware – will simply become indispensable once supported by Western business savvy. The level of technological innovation would then work its way down the ladder to more everyday items such as appliances and cars. The potential has excited Boeing executives and they are certain that their plans have complete Kremlin support. “This is the story of world engineering and Russia can play a big role,” the Boeing Russia president said. SCIENTIFIC evidence of global warming has become more certain and more alarming but the public has become less convinced about it, according to the government’s expert adviser, Professor Ross Garnaut. As debate rages over Labor’s proposed carbon tax, Professor Garnaut said the latest evidence showed global temperatures rising as predicted and sea levels rising faster than forecast in the last intergovernmental report. ”’On the balance of probabilities’ would understate my current view of the likelihood that the mainstream science is correct. I would now say it is highly probable,” he said, adding that there was no ”genuine” scientific dissent from ”the main propositions of the physics of climate change”. But he said the ”debate” under way in newspapers and blogs in Australia was often ”antithetical” to science because it had become ”divorced from scientific rigour, quality and authority” with one opinion or book being seen as just as good as another. ”If you take our mainstream media, it often seeks to provide balance between people who base their views on the mainstream science and people who don’t. That’s a very strange sort of balance, it’s a balance of number of words but it is not a balance of scientific authority,” Professor Garnaut said. Many scientists were starting to question whether the international goal of limiting warming to 2 degrees would be enough to avoid ”dangerous climate change”, although talks had so far failed to reach an agreement to achieve even that goal. Australia’s target of reducing emissions by at least 5 per cent of 2000 levels by 2020 – agreed to by both main parties – is seen as appropriate in the absence of a full international deal. If there was a deal to limit carbon dioxide in the atmosphere to 450 parts per million – required to limit warming to 2 degrees – Australia’s ”fair share” would be a reduction target of 25 per cent. Professor Garnaut said there was ”no prospect” of a tougher goal than 450 parts per million being agreed upon. 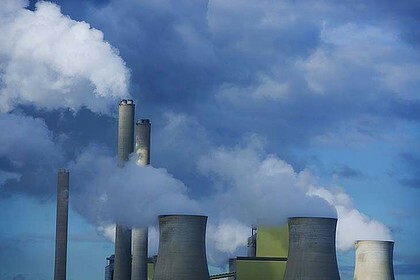 The Australian Industry Greenhouse Network, which represents companies responsible for 90 per cent of Australia’s emissions, denied reports it was calling for a delay to the imposition of a carbon price. ”We are not calling for a delay in the start date and we are certainly not asking that the tax be put on hold,” the network chief executive, Michael Hitchens, said. ”We simply want to ensure the government gets details of the scheme out in time”. The Coalition climate spokesman, Greg Hunt, said the opposition’s policy was that ”the science is real, confirmed and significant” but it did not justify a petrol and electricity tax. A European Union climate expert has described Australian opposition to a carbon tax as bizarre, diplomatically pointing out Britain’s Conservatives were more co-operative in opposition. Jill Duggan, who managed Britain’s initial emissions trading scheme (ETS), said there was an incorrect perception that Australia would be going it alone if it put a price on carbon. “The thing that struck me is how the debate has changed here and also that wide perception that I keep hearing that Australia shouldn’t go first,” she told reporters in Canberra today. While reluctant to comment on Opposition Leader Tony Abbott’s campaign against a carbon tax, Ms Duggan pointed out how the British Conservative Party was enthusiastic about an ETS when in opposition. “During the last Labour government, it wasn’t Conservatives saying, ‘You shouldn’t be doing this,'” she said. Ms Duggan also dismissed suggestions that a carbon price would push up electricity prices dramatically, arguing higher oil and commodity prices accounted for three-quarters of the 40 per cent increase in power bills during the first year of an ETS in Britain. Job losses were also minimal, with the European ETS creating service-sector jobs in Britain. “I don’t think we can think of any jobs losses that are the direct result of carbon policy,” Ms Duggan said. Ms Duggan not only headed Britain’s work on international emissions trading and linking but has advised other governments on the European experience. She pointed to some design flaws in Europe’s initial emissions scheme. She is expected to share her insights with federal Climate Change Minister Greg Combet in a telephone hook-up today. The European Union’s emissions trading scheme began in 2005, but a year later pollution permit prices collapsed because of over allocation. “It demonstrated very clearly to politicians and industry that the target could be set tougher,” Ms Duggan said. The first phase with a lower carbon price ran until 2008. From 2013, 50 per cent of permits to be auctioned will be for the power sector. Other sectors will continue to have free allocations, but they will have to comply with tougher emission-reduction standards based on the average of the 10 per cent most efficient players in any sector. The EU’s ETS aims to reduce emissions by 21 per cent on 2005 levels by 2020. Federal independent MP Rob Oakeshott, a member of the government’s multi-party climate change committee, is also expected to speak to Ms Duggan, along with Oliver Woldring, a climate change adviser from the Australian Greens. It is understood independent MP Tony Windsor was unable to find time for Ms Duggan. The Coalition’s climate action spokesman Greg Hunt and Nationals leader Warren Truss did not reply to an invitation. Ms Duggan will also be speaking to the government’s key climate change adviser, Professor Ross Garnaut. JULIA Gillard’s carbon tax plan has reversed public support for action on global warming, damaged her leadership and delivered Labor its lowest primary support on record. Tony Abbott is now the closest he has been to Ms Gillard as preferred prime minister. And, as satisfaction with the Prime Minister slumps just nine months after she agreed to challenge Kevin Rudd, she remains behind the Foreign Minister as the preferred Labor leader. In just two weeks, Ms Gillard’s personal support has gone from its best since she became Prime Minister in June last year to her worst. It is now the same as Mr Rudd’s failing personal support when he began campaigning for the mining tax in May last year. Since Ms Gillard announced her intention to introduce a carbon tax from July next year, overall positive public support for action on global warming, even if it meant rising prices for electricity and petrol, has turned negative. A majority of people, or 53 per cent, are now against Labor’s plan, with 42 per cent in favour. According to the latest Newspoll survey, taken exclusively for The Australian last weekend, Labor’s primary vote crashed six percentage points to just 30 per cent, the lowest primary vote in Newspoll survey history. Previously, the lowest primary vote was 31 per cent, in 1993, when Paul Keating was prime minister and Australia was in recession. The Coalition’s primary vote, after falling sharply two weeks ago because of internal divisions, bounced back to 45 per cent. This is the Coalition’s highest primary vote since March 2006, when John Howard was prime minister and nine months before Kim Beazley was replaced by Mr Rudd as opposition leader. Primary support for the Australian Greens rose slightly to a near-record high of 15 per cent – exactly half of Labor’s primary vote – during a period when Bob Brown and his deputy, Christine Milne, claimed authorship of the carbon price plan and called for petrol to be included in the tax. Ms Gillard, speaking from Washington this morning ahead of her meeting with US President Barack Obama, said she would not comment on the Newspoll but had always expected that putting a price on carbon would be “a tough fight”. “I will continue to press to price carbon and we will get the done from the 1st of July, 2012,” Ms Gillard told reporters. “It is fairly easy to stoke fears and Tony Abbott is a master at it. The Opposition Leader has accused Ms Gillard of lying about the carbon tax and being too close to the Greens. He has pledged to repeal the tax if the Coalition is elected at the next election. Ms Gillard said that every day Mr Abbott sought to stoke fears she would respond with facts and reason. Based on a distribution of preferences at last year’s election, the Coalition has surged in front of Labor, with a four-point rise to 54 per cent compared with the government’s 46 per cent. It is the Coalition’s highest two-party-preferred vote since March 2005 and compares with the August election result of Labor on 50.1 per cent to the Coalition’s 49.9 per cent. In the two weeks since Ms Gillard announced her intention to introduce a carbon tax, voter satisfaction with her has dropped 11 percentage points to 39 per cent – her lowest satisfaction rating since becoming prime minister and only three points above Mr Rudd’s rating the weekend before he was removed. Asked last weekend who was the preferred Labor leader between Ms Gillard and Mr Rudd, the Foreign Minister secured 44 per cent support to Ms Gillard’s 37 per cent. This is similar to the result last May – before the leadership change – of 45 per cent for Mr Rudd and 40 per cent for Ms Gillard. Dissatisfaction with Ms Gillard also spiked 12 points, taking her dissatisfaction level to 51 per cent, the first time she has been above 50 per cent. After a complete reversal of her personal standing, Ms Gillard now has a negative satisfaction rating – the difference between positive support and dissatisfaction – of 12 percentage points compared with Mr Rudd’s negative 19 points when he was sacked by the Labor caucus. Ms Gillard also dramatically lost ground as preferred prime minister to Mr Abbott, more than halving her 22-point lead two weeks ago to just nine points. She now leads Mr Abbott 45 per cent to 36 per cent, but two weeks ago held a 53 per cent to 31 per cent lead. The personal standing of the Opposition Leader was little changed, with satisfaction on 39 per cent and dissatisfaction rising from 49 per cent to 51 per cent. The previous overall support for action on climate change has shifted into majority opposition to the government’s plan for the first time. According to the Newspoll survey last weekend, 53 per cent of voters say they are against the government’s plan to combat global warming with a carbon price that puts up the cost of gas, electricity and petrol. Last December, voters were evenly split – 49 per cent against and 47 per cent in favour – over whether they were prepared to pay more for climate change action to slow global warming. It appears the government’s announcement has crystallised opposition to the introduction of a carbon price that would push up the cost of living. With Ms Gillard in Washington, Mr Abbott yesterday continued to campaign against the carbon scheme. “This tax, whether it’s a straight tax or an emissions trading scheme, will hit people’s cost of living. It won’t clean up the environment but it will clean out your wallet. “That’s the problem with Labor’s carbon tax,” he said.